We all want to recapture some part of our childhood. For 20 somethings, they are caught up in the new Pokémon phase. For the geeks of the 80s it’s comic books, comic book movies, action figures…really anything Batman or Wolverine related. For you it’s something a little different. You are into getting your dolls back. Particularly one doll with red yarn hair. You’ve searched all over the internet, gone to random yard sales, and looked through your parent’s basement. All to no avail. You can’t find her. Your best friend from childhood. But that doesn’t mean you will stop looking. Well, we can’t help you find her, but we can help you look like her! 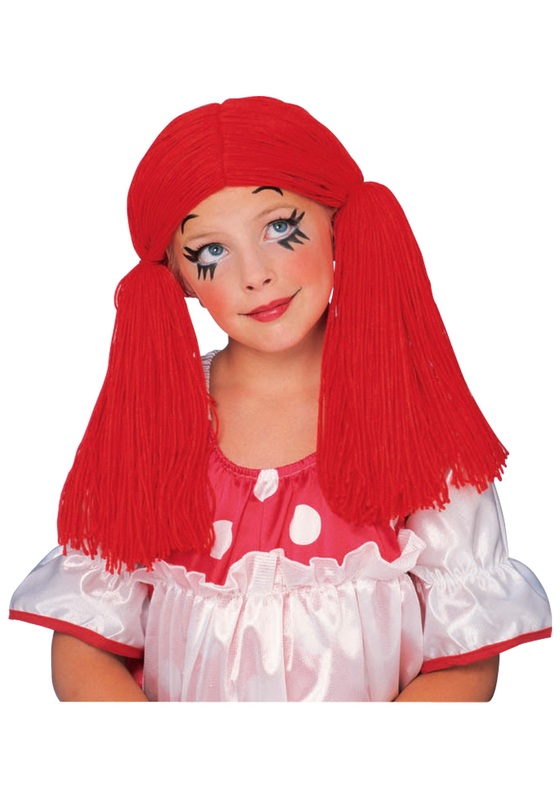 With this Rag Doll Girl Wig you can become your favorite doll from childhood. Just put this wig on, and add a little rouge to your cheeks, and high eye brows to really recapture that raggedy look, and your childhood! Small for adults and not like on the picture but do the job.